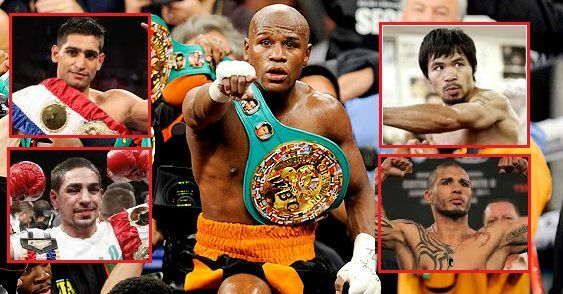 Who will Mayweather fight next may 2015 ? 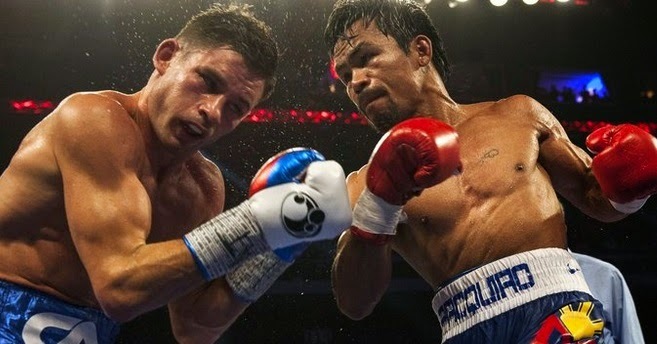 the talks of Manny Pacquiao fight has been intensified after Pacquiao’s win over Chris Algieri, while a possible fight against Amir Khan (if he manages to beat Devon Alexander) might also happen. Lets take a look at who and when Mayeather will fight probably his last two fights of the career. Floyd Mayweather stated that in September 2015 he will get into the ring for the last time his career which means he will be fighting twice in 2015, first in May and than the second fight later in the year somewhere in September 2015. But the big question is who will be his next opponent ? from the looks of things and if the rumours are to be believed Manny Pacquiao vs Floyd Mayweather will surely fight in 2015 but not sure whether it will be in May or September. FLoyd Mayweather has come under massive pressure from the fans and the boxing media as they accuse him of fighting against handpicked opponents. He fought twice last year against Marcos Maidana and won both fights quite convincingly. Now Mayweather is in the twilight of his career and still unbeaten, he has two choiced two close his career. 1) get favourable fights and close down his career with couple of easy wins and remain unbeaten 2) or he can go for the glory and summit his name as one of the greatest boxer to have ever lived if he choose fight and beat Manny Pacquioa. Pacquiao has even accepted less percentage of purse in order to get Mayweather to fight him but the major issue is both fighters fight under different networks (showtime & HBO) plus Mayweather has stated that he dont want to do any business with Bob Arum who is the promoter of Pacquiao. That is where the negotiations stall but it can be solved only one way if both networks agree to share the broadcasting of fight just like Lenox Lewis vs Mike Tyson 14 years ago. So if still for some reason we won’t get Mayweather-Pacquiao who will be next opponent for Mayweather camp ? Amir Khan was so close to get the fight against Mayweather in may 2015 but it did not happen in the end, but Khan is one name Mayweather camp are hearing time and time again. Now Amir Khan will be fighting on 13 december against Devon Alexander in Las Vegas and a win in that fight will surely put him in a good position to fight mayweather. Beside Khan is much different boxer than some of the recent Mayweather opponents and many boxing experts believe he can give a solid fight to mayweather.